Oerlikon has signed a Memorandum of Understanding (MOU) with Lufthansa Technik, a leading provider of maintenance, repair and overhaul (MRO) services for civil aircraft, engines and components, to establish processes for additive manufacturing (AM) in aircraft MRO. The two partners are concentrated in the growing trend for the industrialization of AM in the MRO industry which offers potential cost savings in manufacturing, procurement, warehousing and supply chain management. In 2017, the major MRO providers have established similar partnerships with leading AM companies to develop robust workflows for the technology within the industry. Emirates Engineering is using 3D Systems‘ selective laser sintering technology to test lightweight parts for commercial aircraft, SIA Engineering Company recently formed a joint venture with Stratasys to establish an AM service centre, and Etihad Engineering is going a step further working with BigRep to embed “digital smartness” into large-scale aircraft components. 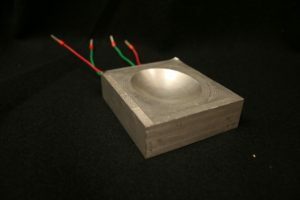 Earlier this year, Oerlikon also struck up a partnership with Boeing to collaborate to develop standard materials and processes for structural titanium AM aerospace components.